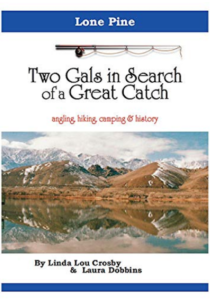 Award-winning authors, Linda Lou Crosby and Laura Dobbins, are pleased to announce their newly published book, Two Gals in Search of a Great Catch: Lone Pine angling, hiking, camping and history, available on Amazon in paperback or on Kindle. Both versions are also sold at www.fishinlines.com – where the authors post an ample amount of fishing stories and photos. 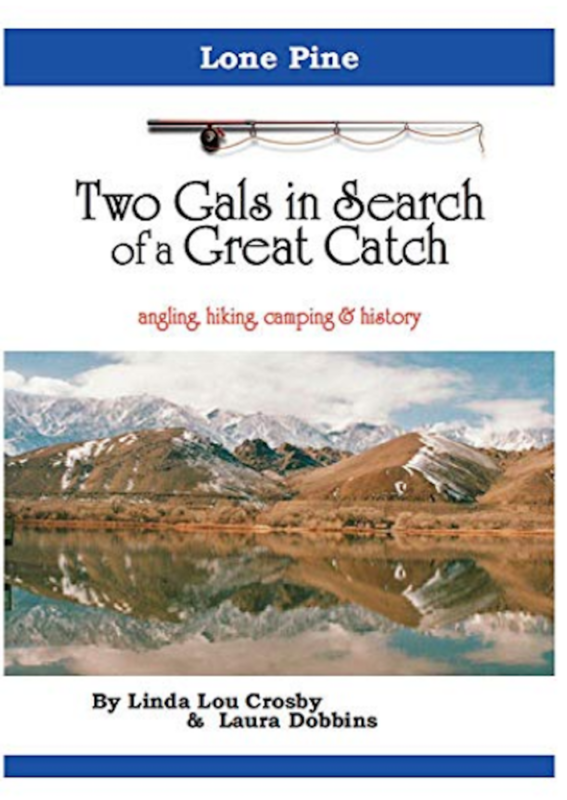 While the focus of “Two Gals in Search of a Great Catch,” is on fishing, it also features hiking on the John Muir and Pacific Crest Trail inside the Inyo National Forest as well as other tourist hotspots. Of course, no backcountry trip into the alpines, would be complete without exploring Mount Whitney, the highest summit in the contiguous United States and the Sierra Nevada. A little known fact is Mount Whitney was named Fishermen’s Peak, for nearly seven years. The name was in honor of three anglers, who were the first recorded hikers to ascend the peak. The 14,505 summit was used as a science lab in the early 1900s by the Smithsonian. These are just two of the notable narratives featured in this book. Other highlights include details on fishing hotspots, tips, campgrounds and recipes. 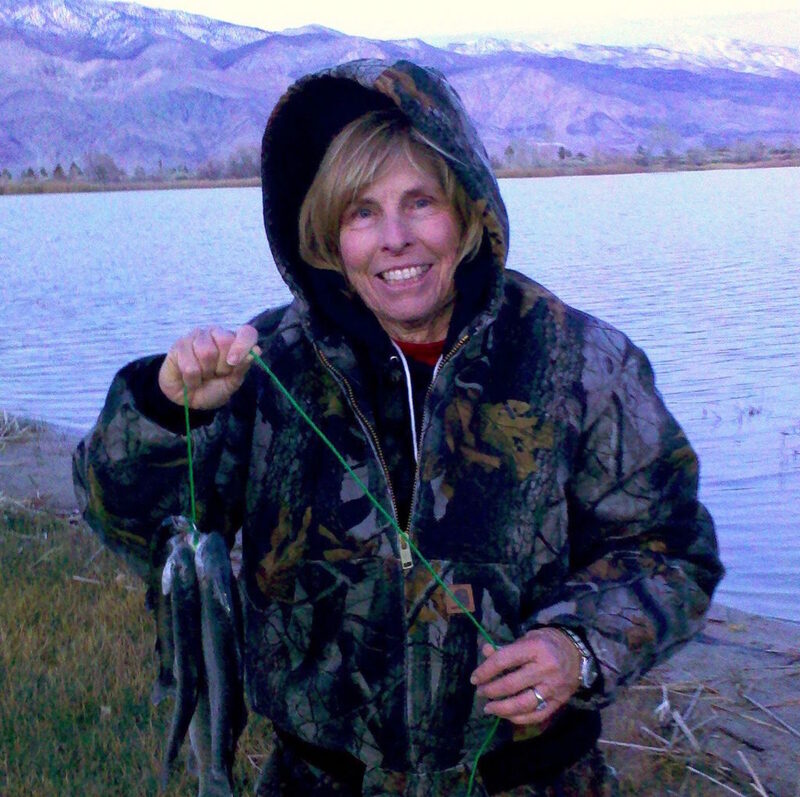 While Rainbow Trout are the most sought species, in Lone Pine, opportunities to catch Bass, Bluegill and Catfish are also explored. For those that enjoy hiking and fishing – maps, campsites and route distances with directions into the backcountry are also part of the book. In addition learn to fish Brook Trout in several pristine mountain lake or take a trip into Golden Trout Wilderness and catch a Golden Trout. The book is the first in a series and part of a six year project from fishing adventures by Crosby and Dobbins who decided it was time to record all they have learned together. Dobbins started fishing to deal with PTSD from her tour in the Middle East during Desert Storm. Crosby, on the other hand, dealt with a lack of people who wanted to share her fishing experiments. “The one that got away!” The authors share humorous “fishing tales” (pun intended) about lines snagged on rocks, losing expensive lures and decorating trees with bobbers. This book was published by NeonLines and LuckyCinda. For more information visit: fishinlines.com or contact Crosby at LL@fishinlines.com (760-382-1706) and Dobbins at Laura@fishinlines.com. 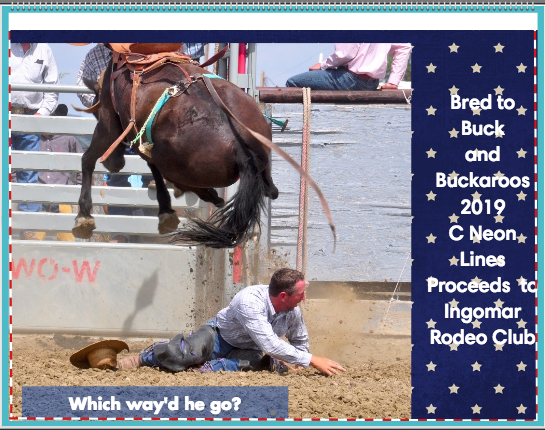 Linda Lou Crosby, formerly of the High Desert in Calif., currently living on the plains in eastern Montana. is an award-winning author and Navy Video Producer. Her highly-acclaimed documentary featuring a “Gypsy Cowboy,” premiered in Lone Pine, Calif. and Miles City, Mont. in 2009. 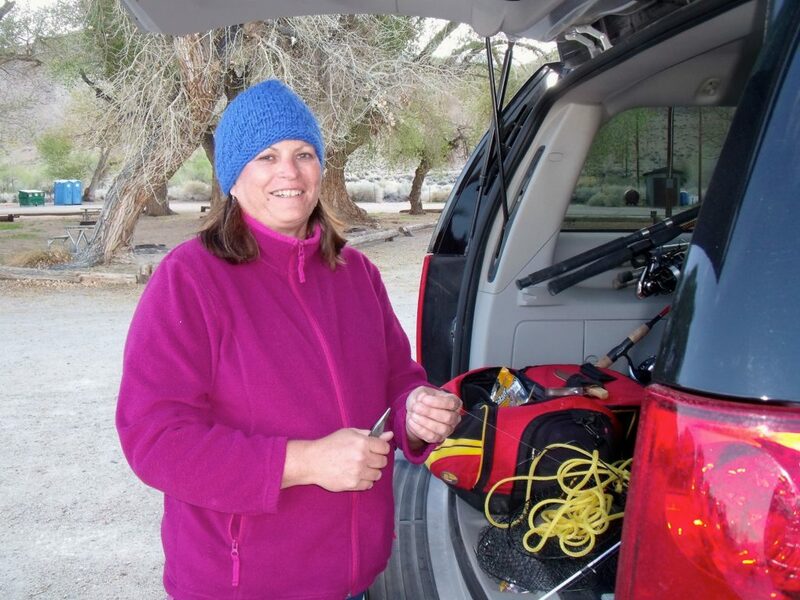 Laura Dobbins grew up in Ridgecrest, less than an hour from Diaz Lake, and visited Lone Pine often. A former journalist and page designer, Dobbins was also a managing editor for The Daily Independent. She also worked at the Bakersfield California and in Arizona at Peoria Times and the Arizona Republic. Dobbins has co-authored five books and operates Kindle Book Promos (kindlebookpromos.luckycinda.com – a site featuring authors and their Kindle Books).